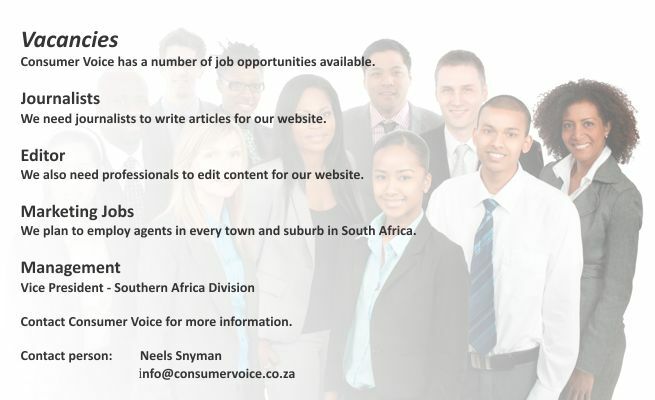 Consumer Voice has a number of job opportunities available. We need journalists to write articles for our website. We also need professionals to edit content for our website. We plan to employ agents in every town and suburb in South Africa. Contact Consumer Voice for more information.